I have been watching progress on FreedomBox ever since watching a video of Eben Moglen a few years ago. Turns out that that they recently announced the availability of their 0.1 preview release. As part of this there is one component that is extremely useful for RaspberryPi users (funnily the co-founder of RasperryPi is also called Eblen by first name – go figure) out there concerned about increasing snooping of private information by governments and corporations for a variety of reasons. 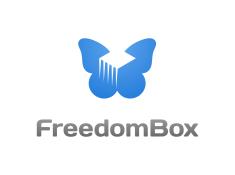 This software combines the functionality of the Adblock Plus ad blocker, the Easy Privacy filtering list, and the (HTTPS Everywhere](https://www.eff.org/https-everywhere) website redirection plugin into a single piece of software to run on your FreedomBox. Combining these different plugins into software for your FreedomBox means that you can use them with almost any browser or mobile device using a standard web proxy connection. Best of all this has already been made available via the Raspbian repositories (http://mirrordirector.raspbian.org/raspbian/pool/contrib/f/freedombox-privoxy/) so the install is extremely simple. Kudos to James Vasile for the technical work ! To get some more idea on the usage of privoxy you can check this article. Need to get 2,329 kB of archives. After this operation, 7,495 kB of additional disk space will be used. @ericxjbrewer: Thank you for letting me know. must have been a manual typo rather than cpy paste from terminal. Have corrected the article.